Well, I’ve got some extremely effective tips that will help you do just that! More importantly, these tips have already been used by other musicians to write hit singles. For example, if you go to this website here you’ll find a songwriter who used the same tactic I’m about to teach you to write many songs that made high rotation on the charts. So be sure to give this a shot! Ok… Now, before we get to the techniques let me first tell you a little about writing a hit song. Firstly, it’s not something that happens everyday. This doesn’t mean it’s hard… It just means you need a little luck. You need to have an idea that connects with a large group of people. Very often it’s the “hook” of the song that grabs people. To write a commercially successful hit single, you’ll need to write something that captures peoples attention immediately. When you’re writing, you can’t sit there “trying” to write a great hook or chorus… Now I know this sounds a little weird, but stick with me for a second. Instead of trying to piece together some notes that forms a great hook… or pull a magical lyric out of thin air… you need to allow your creative juices to roam free. Many musicians make the mistake of creating an idea and then thinking, “No, that’s not a good enough hook”… and then dismissing the idea completely. This is NOT how to write a hit song! If an idea comes up as you’re writing, go with it. Explore it. Stop thinking it has to be perfect when it first comes out. Don’t judge it. Continue to explore this idea and watch as it evolves in front of you. Follow the new ideas that pop into your head as you play with the first one. Do this for a long period of time (At least 20 minutes straight) and you’ll find yourself “in the flow” of ideas. You’ll find yourself brimming with musical possibilities. And out of this “idea generating” a great idea will “hit you”. Maybe even 2,3,or 10 great ideas. These are your “hooks” that will form a potential hit single. This is FAR more effective than sitting around trying to “think up” a hit idea… and dismissing every other thing that pops into your head. Ok… Now if you really want to take things to a new level, I’ve got a suggestion for you. 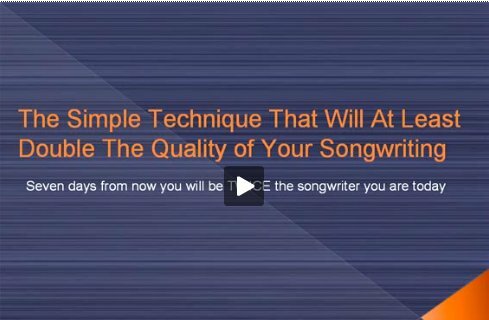 I’ve created a songwriting course that takes you through many more powerful songwriting processes that will get you writing many great songs of “hit” quality. If you want to learn how to write a hit song, this course is the fastest way to do this. 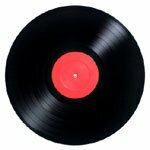 Once again, the techniques in this course have been amazingly successful for many musicians all around the world, some who have gone onto write multiple hit singles.